More than peanuts? PartyMojo offers rental of our HotDog Bun Live Station! Available for a minimum of 1 hour serving 100 Hotdog Buns for SGD $280.00, and 200 servings for SGD $350.00 only. 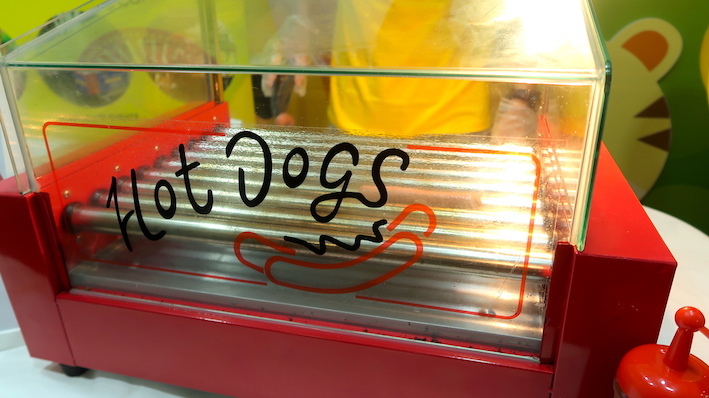 The HotDog Stall is perfect for both young and old! Our rental is inclusive of delivery and collection of the HotDog machine. An easy setup that includes the laying of an extension cable from the power outlet to machine, and dismantle. PartyMojo’s professional staff catered to operate the Hotdog machine and serve you! 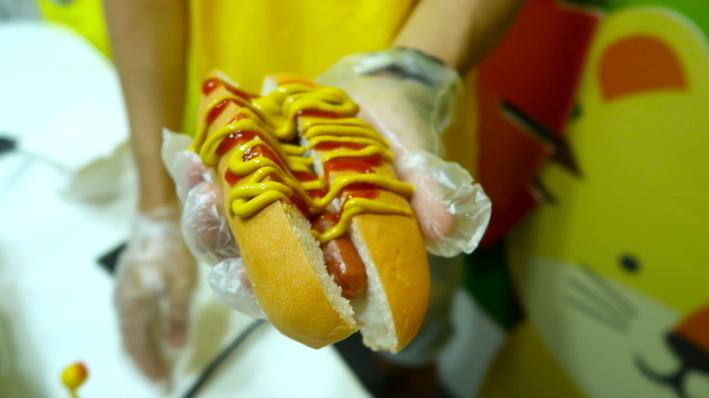 Not to mention, the franks itself, together with soft buns that go perfectly well with everyones favourite condiments! The Hotdog Buns will be served in brown paper bags to keep them fresh from the grill! Holding a large scale event and not sure how many machines or how long a duration you need? Fret not because PartyMojo is here for you! With over 50 in house machines and a big team of Mojo staffs, let us share your burden. We provide a huge discount for long hours, so why not enquire with us today! What is required from me if I hire the machines from PartyMojo? Yes! All prices as above include delivery, set up, man power! Not only that, young and lively staff will be at your event to serve and punctuality is guaranteed! How does the live station work? Scroll down to watch a video of the live station! Do I have to prepare a table for PartyMojo to place the machines? Yes, we will require a table to place a machine. Otherwise, tables are available for hire at only $20! My event is outdoors, can I still hire the machines? Yes! PartyMojo can go everywhere and anywhere in Singapore! However for inaccessible locations like Sentosa, Tuas South and so on, a transport surcharge between $20 – $30 is applicable. For outdoor events, do make sure that a powerpoint is available.